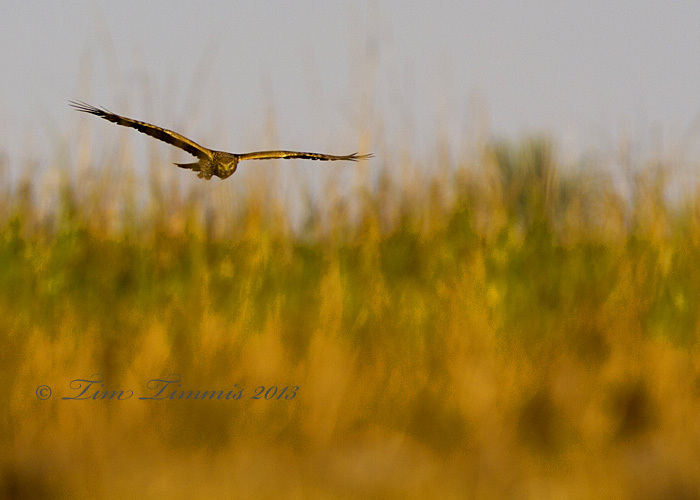 Found this Northern Harrier at Bolivar Flats while taking shorebird photos. Tracked him from my prone position as he flew along the shoreline for a good series of shots. This photo is my favorite pose but sometimes you can’t control the backgrounds. While focusing on shorebird shots at Bolivar Flats, the small birds would frequently spook and fly away. Didn’t pay much attention to why until the photo op’s died down. Then I noticed that they were scattering due to raptors flying overhead. I was laying on a sand bar within about 30 ft of the shore line and the Northern Harriers were doing flybys over the grassy area on shore. Spotting this one flying towards me. 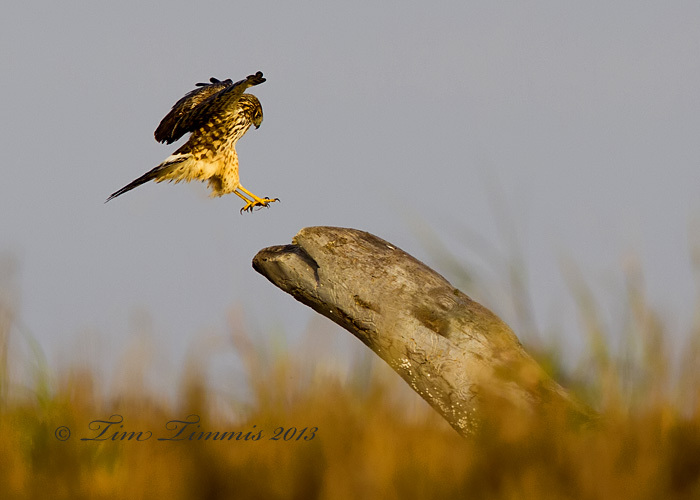 My 7D did a great job with maintaining focus as he flew behind the weeds and then landed on a log nearby. Caught him landing with his talons out which was cool. He stayed around for only a couple of minutes and took off with outstretched wings. Taken with a Canon 7D and Canon 500mm F4 IS II and 1.4x III teleconverter mounted on Skimmer ground pod with a Wimberley II gimbal head. 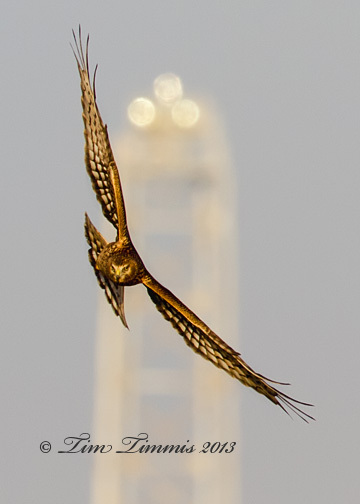 Caught this Northern Harrier in flight while taking shore bird photos at Bolivar Flats in Dec. 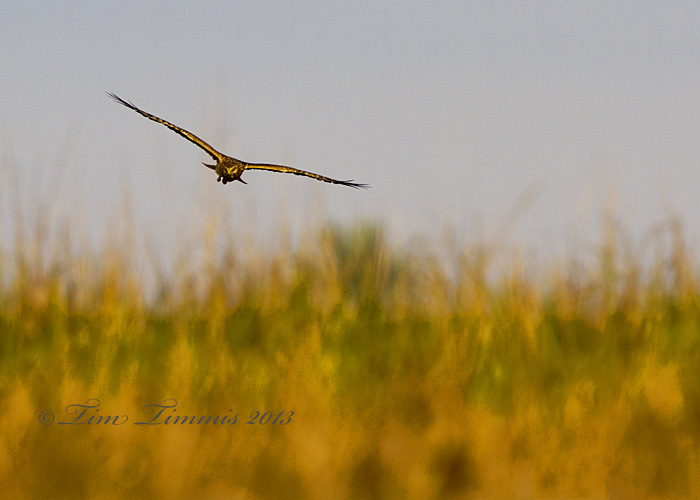 I was laying in the muck with my ground pod at sunrise when this Harrier came up over the grass at the shoreline. He didn’t see me at first which gave me a chance to focus and track him for several shots. It’s always a challenge to get close to these raptors so I was pleased to get this shot. 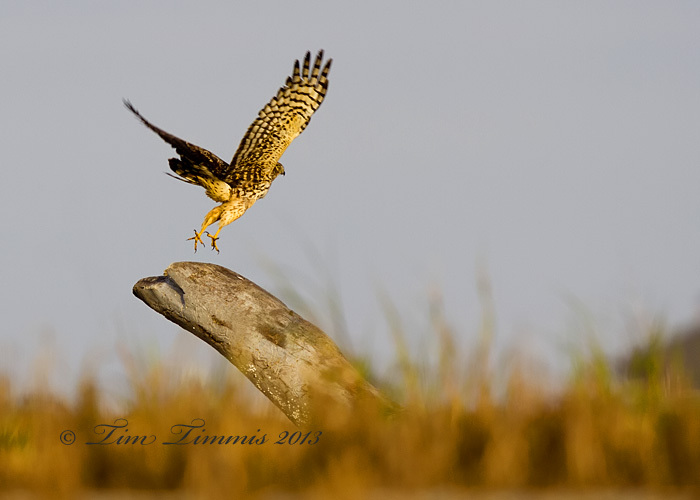 Taken with Canon 7D and 100-400 lens mounted on Skimmer ground pod with Sidekick gimbal mount. 1/500 sec @ F5.6, + 1 exposure compensation, ISO 500, spot metering, no flash.